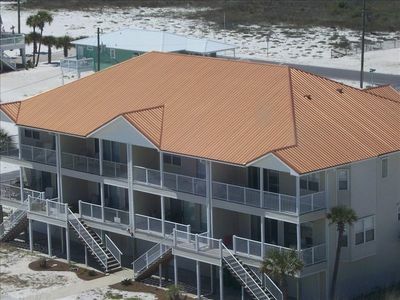 5 Bedroom Waterfront House w/Private Beach! 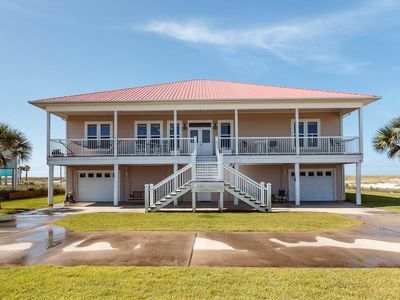 This home is perfect for your dream vacation. 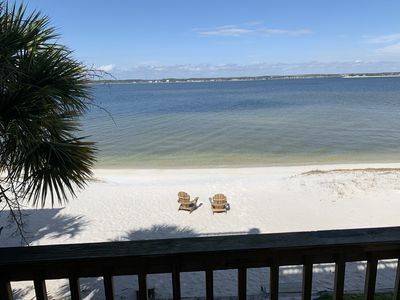 Kids love having 2 beaches to choose from-your own private beach steps away from the back porch and the Gulf Beach just a 5 minute walk away! 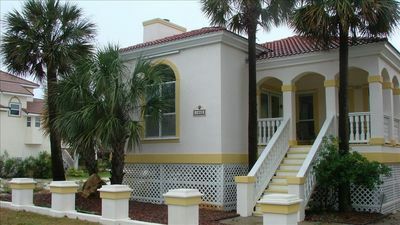 - Spacious House with Five Bedrooms! and 4 full baths! 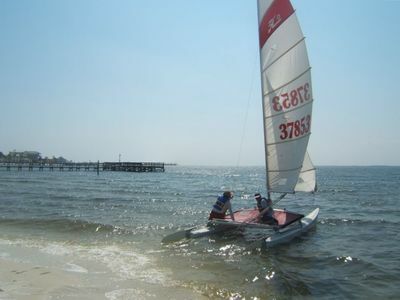 - Our Beach is on the Sound side, not the Gulf side so there's no undertow and the waves are gentle. 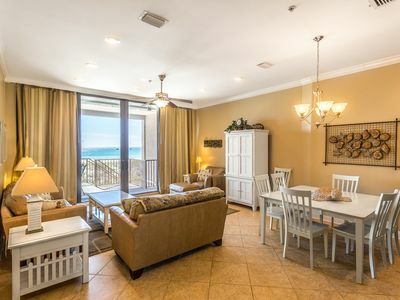 - Everything you brought and need is conveniently steps from YOUR PRIVATE beach - all the comforts of your food, drinks, powder room, etc are a few feet away. - Our face book page - Caribbean Soul Beach House is updated regularly with photos taken by our guests and links to local activities. Please go to our page to see more photos and information. 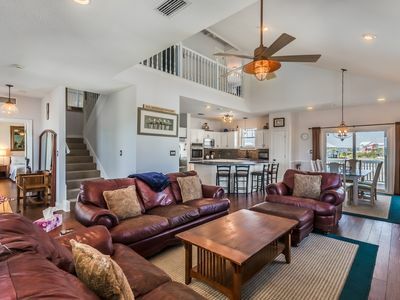 - Open floor plan designed for family and friends to get together - large deck with views of the Santa Rosa sound spans the back of the living/dining rooms. 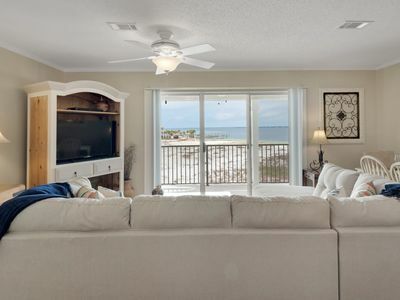 - HD TVs in every room with plenty of channels; DVD players in every room too - bring your Firestick/ROKU. - No waiting on the elevator like at the condos across the street. - The fishin' is in your back yard and easy; drop a line in the water and wait for the tug! - Dolphins like Caribbean Soul too, because they frequently swim by and even come up to the beach behind the house! - Your own deeded boat slip in the neighborhood dock; our guests can fish from the dock too. - Sunset over the water is stunning! 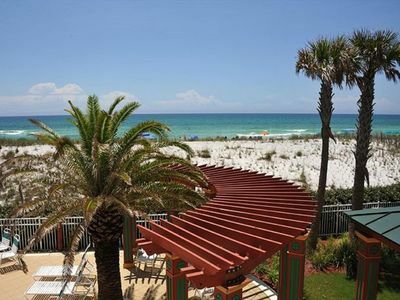 All you have to do is get a cold one, plop a beach chair in the sand and watch the show! 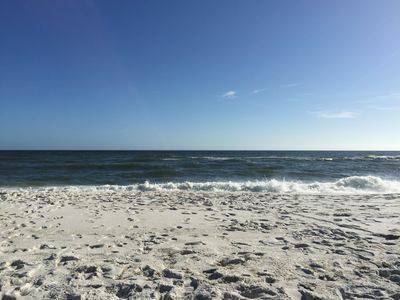 - Navarre Beach is so clean and beautiful!! 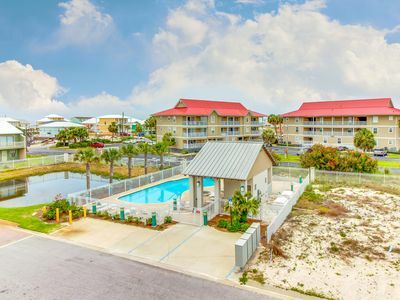 - Plenty of room for a nice week at the beach with your family! Enough room for the kids to bring a friend! - Perfect for home-schooled kids! 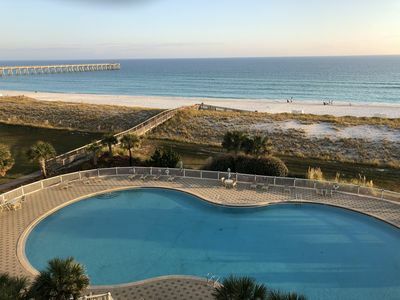 - House is on a nice and quiet island - no tacky touristy shops or crowds; Navarre Beach is regularly voted one of the top beaches in the country on Trip Advisor. 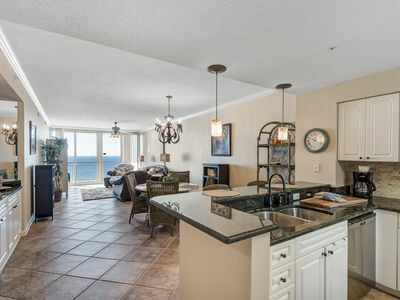 - All local restaurants on the island within walking distance and many others on the mainland just a short drive away. 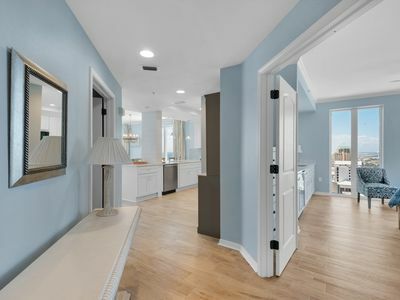 - Large Master suite with king size bed, attached bath has double vanities, jacuzzi tub, separate shower and walk in closet. - The deck off of the master suite spans the back of the house just like the lower deck off of the living/dining room. There is also a spiral staircase leading up to a widow's walk which has incredible views! - A half-day drive from many cities. - Our face book page Caribbean Soul Beach House is updated regularly with photos taken by our guests and links to local activities. Please check us out there too! 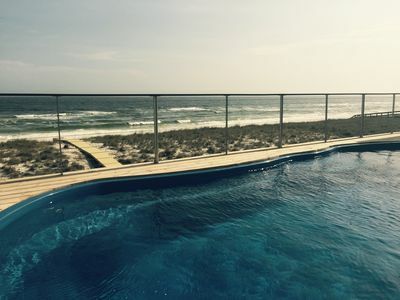 We would be pleased to host your island vacation in Navarre Beach! This house is not suitable for weddings or receptions. NO EXCEPTIONS to this policy. This is a non-smoking house, which is strictly enforced. No pets allowed - no exceptions. If you want a wedding and/or reception or to bring your pets, this house is not for you!!! NO STUDENT GROUPS! Primary Renter must be over 25 years old. No college or school age groups allowed without parental supervision. Rates are listed at bottom of description to enable you to see all rates rather than submit an inquiry just to get a rate quote! Trying to make it simple for our guests!!! 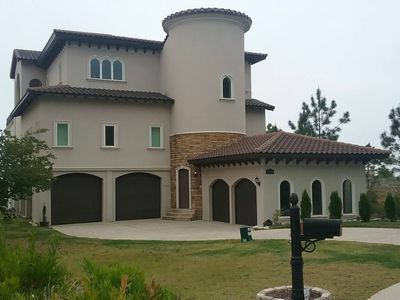 - We purchased this incredible house in 2019, but were allowed to transfer over the reviews. This is why the reviews are dated prior to our listing date. We don't want to confuse anyone. It is the same wonderful house and we will continue the same level of care and service as the previous hosts. 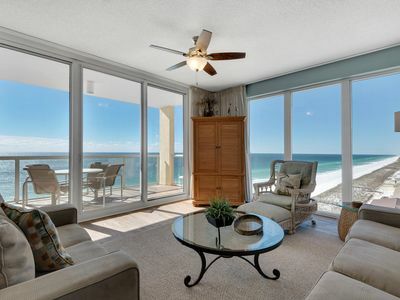 Cloud Nine on a dime in Navarre Beach! We want to share it with you! 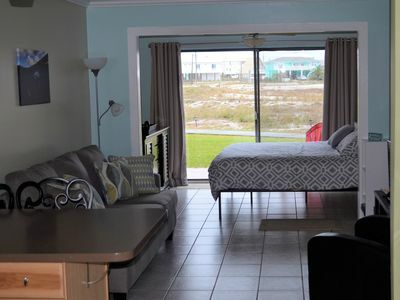 Pristine getaway close to the beach w/ community pool - snowbirds welcome! 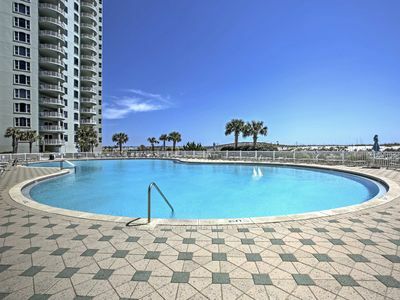 Sugar Beach A-2 ~ Gulf Front with POOL! Best Rates In Complex! Bring your Boat and Fishing Pole.......welcome to Del Mar South!! 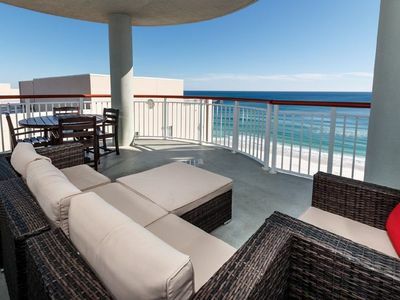 Newly Renovated 3 Bedroom/3 Bath with Panoramic Beachfront View –NOW AVAILABLE! GULF FRONT. 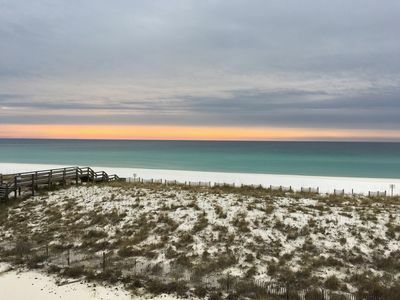 Free Beach service(Mar - NOV).